3 bed, 2 storey, detached house, assembled in 13 hours from DPC upwards using pre-finished panels. Externally secure and complete, having over come common construction challenges such as congested streets and restricted access including lamp posts and overhead cables. 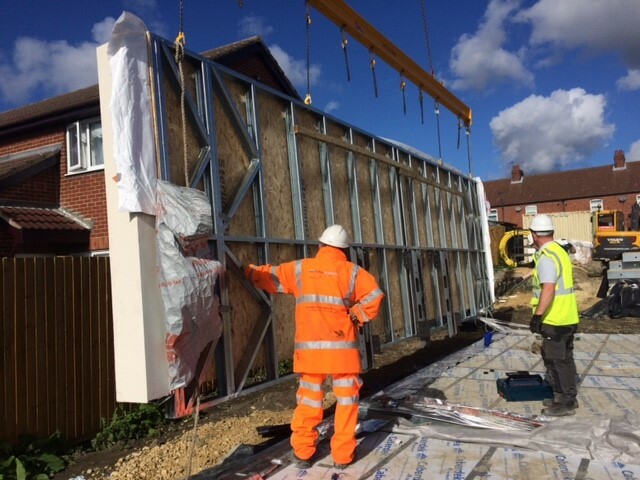 Striving to work to lean principles and eliminate non productive tasks, the houses are delivered to site once all the ground work is complete, giving a safe platform to work from, and are built without scaffolding. The houses will be internally completed and handed over with an NHBC Buildmark Warranty.